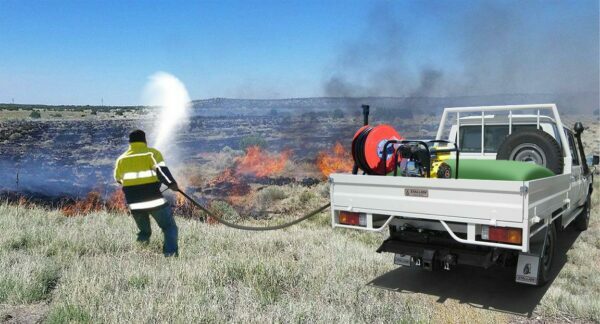 Fleximake mobile firefighting units are your new line of defence in protecting your home or property. 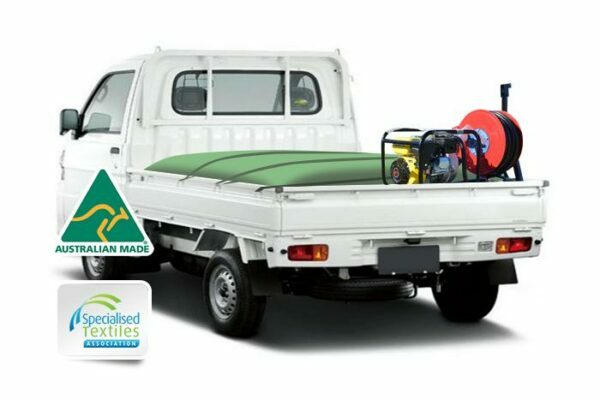 These mobile units are specifically made to fit in your ute, wagon or trailer and occupy less room than traditional, hard plastic tanks. The innovative design of our flexible tank makes it easy to fold up and quicker to roll out, ready for action. A permanent space or dedicated vehicle that is only to be utilized in bush fire season is not required. 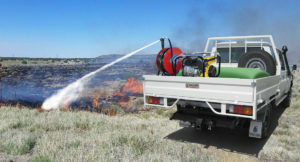 Instead, fit Fleximake mobile unit to an ute, wagon or trailer in the appropriate season. Another advantage over hard plastic tanks is that Fleximake mobile units sit lower so that filling is quicker and easier. Made especially to Australia’s harsh climate and tough quality standards, you can be confident in the product whatever the situation.